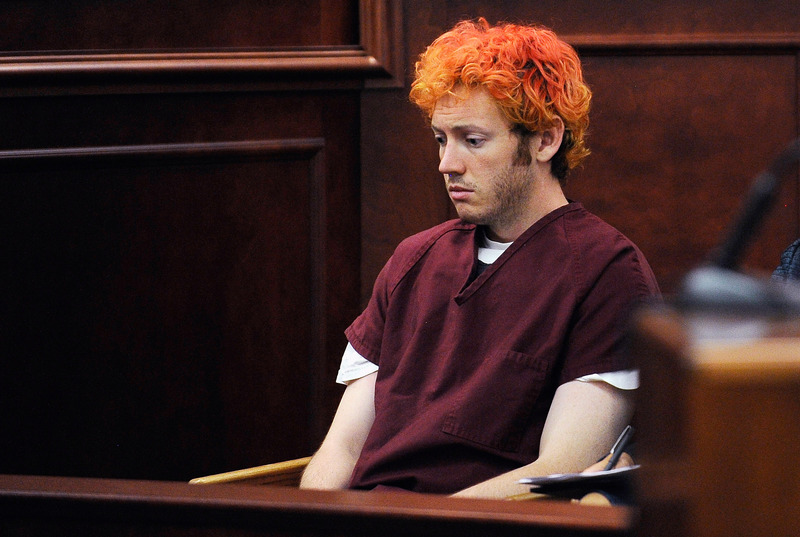 At long last, the jury for the trial of alleged Aurora, Colorado theater shooter James Holmes has been set, and the trial will soon be underway — opening arguments are scheduled to begin on Monday, April 27. Ultimately, 12 people on the jury (another 12 alternate jurors were also selected) will possibly be weighing whether to give Holmes the death penalty, so it's worth examining what we know. And, according to NBC News, a couple of them have a pretty surprising connection — two Holmes jurors are linked to the Columbine massacre, with one a student and former friend of notorious shooters Eric Harris and Dylan Klebold. Now, a necessary disclaimer. The fact is, we don't know which people in the finalized jury pool will actually be rendering a verdict, and which will be alternates. In fact, not even they do. As detailed by ABC News, all 24 of the selected jurors will be present throughout the trial, and they won't be told which of them are tasked with making the call until jury deliberation actually begins. So it's worth bearing in mind that half of the people announced today won't make the cut — as such, all of these people are most accurately described as "potential jurors." That said, the jury pool is notable for having two people with links to the grisly 1999 spree shooting at Columbine High School in Littleton, Colorado. We don't know these people's names, obviously, and that's the way it should be, but there's been some understandable speculation whether proximity to such a horrifying event might instill a bias in a case like this. The two prospective jurors in question are reportedly a middle-aged white woman, and a younger white man. The woman said that her niece was in the Columbine cafeteria when Harris and Klebold carried out their siege — in all, the pair killed 13 people that day, in addition to themselves (if you're curious to learn more about the incident, Dave Cullen's excellent Columbine is a must-read). The man's link to the attack is similarly startling, and even more proximate — according to NBC News, he was "best friends" with both Klebold and Harris up through the eighth grade, and that one of the people murdered by the pair years later was his prom date. He also reportedly admitted he was concerned that the evidence presented in the trial might be too difficult for him, and he underwent over a decade of therapy after the event. Obviously, there's no telling yet whether either of these people will actually enter deliberations, nor whether these fraught backgrounds will hold any sway as they consider the fate of yet another alleged mass shooter. It doesn't illuminate anything about their views on the death penalty, either, which is the question they'll have to consider in the event they reject Holmes' insanity claim. But it is a surprising, slightly haunting side to this story, regardless of whether there's a genuine conflict of interest here or not.